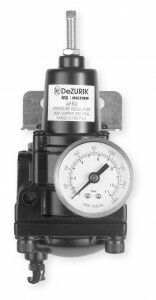 The AFR2 & AFR3 Instrument Air Filter Regulators are designed to provide clean, accurate air pressure to actuators and positioners – proven to provide accurate operating characteristics under variable conditions. Durable materials and a standard epoxy paint finish provide long lasting corrosion resistance in harsh industrial environments. The AFR2 & AFR3 Air Filter Regulators are quality units that are ideal for control of process applications.